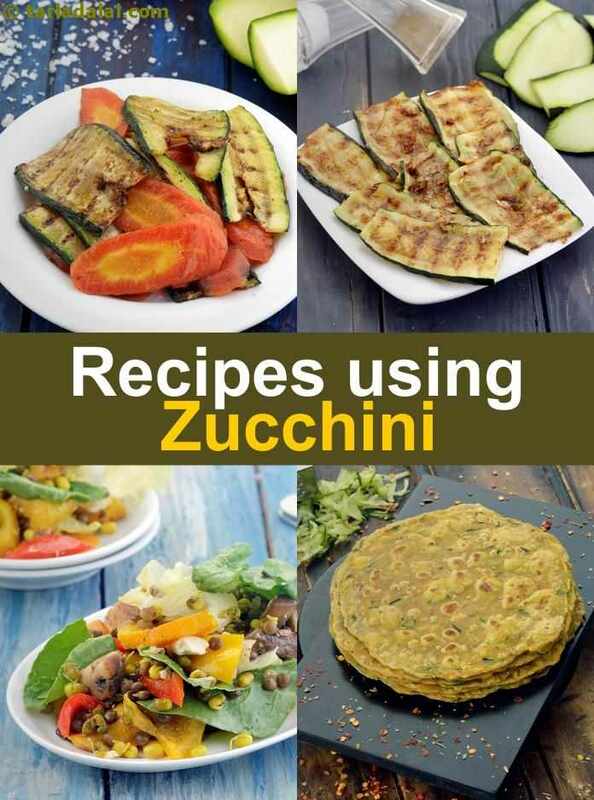 139 zucchini recipes, Indian zucchini recipes. A vegetable that is loved and enjoyed by diners all over the world, zucchini is now easily available in India too. Although it was considered rare in India a decade ago, since the past few years it is commonly available at most supermarkets. It is not very expensive, and we get good quality zucchinis as well. Everybody is busy, for some reason or the other. Some at work, some at home, some with charities, but these days everybody is engaged in multiple activities and likes to keep themselves busy. And when they are free, they prefer to spend quality time with their loved ones. They do not spend as much time in the kitchen as in olden times, and so people these days prefer no-fuss, no-sweat recipes that are tasty too. Zucchini is just right for this purpose because it cooks easily, whether you decide to steam, stir-fry or sauté it! It can be used to make easy and tasty dishes, ranging from breakfast to snacks and main course too. With an easy texture and pleasant taste, zucchini is much-loved by young and old alike. It is also a neutral and versatile veggie that fits well into innumerable dishes, ranging from Indian to international, stir-fried to baked, and more. Give it a shot, and you will yearn to try many more of the zucchini-based recipes on our website! A simple yet delicious combination of stir-fried corn and zucchini with mint and basil leaves.